On March 13, 2013, the first Great Lakes Advisory Board was officially announced by the U. S. Environmental Protection Agency (EPA). 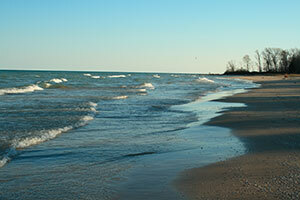 The board was created with the goal of supporting the Great Lakes Restoration Initiative (GLRI). The Advisory Board will guide the chair of the federal Interagency Task Force, which is currently deciding the board’s next steps for the spring. More than 30 million people rely on drinking water from the Great Lakes. The GLRI marks the largest investment in the Great Lakes in the last 20 years. GLRI funding is being used to speed up cleanup work in the 29 remaining Areas of Concern (AOCs) outlined in the U.S.-Canada Great Lakes Water Quality Agreement. Protect employees who are working to restore polluted areas with appropriate personal protective equipment (PPE), including respirators, protective clothing, and work gloves that can help reduce injuries and health issues.